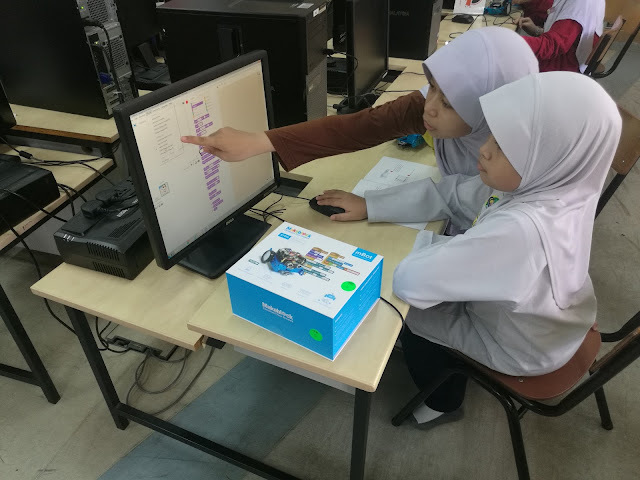 Maker Mobile, a mobile workshop and a webe community funded initiative, which aims to redefine learning and education nationwide, came to life with its first workshop on Robotics with 30 students from SK Putrajaya Presint 8 (1), Putrajaya. The workshop was officiated by Nazeem Nasir, Chief Marketing Officer, webe together with Dzameer Dzukilfi, Managing Director, Teach for Malaysia, Mohamad Zulfadli Amin, Manager, Nurturing Unit, MyDigitalMaker Department, Talent and Digital Entrepreneurship Division, Malaysia Digital Economy Corporation (MDeC) as well as Puan Hajah Naemah Binti Ismail, Guru Besar Cemerlang. 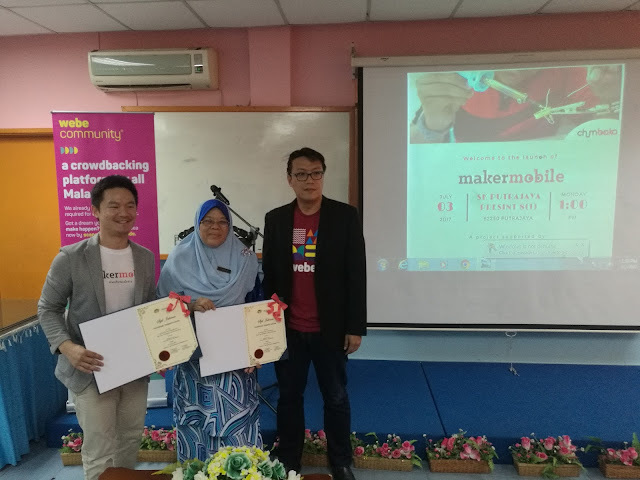 Speaking at the event, Nazeem explained the role of webe community in making Maker Mobile a reality as he applauded the efforts of the project champions Chong Zhi Xiong, Rachael Francis and Nigel Sim. 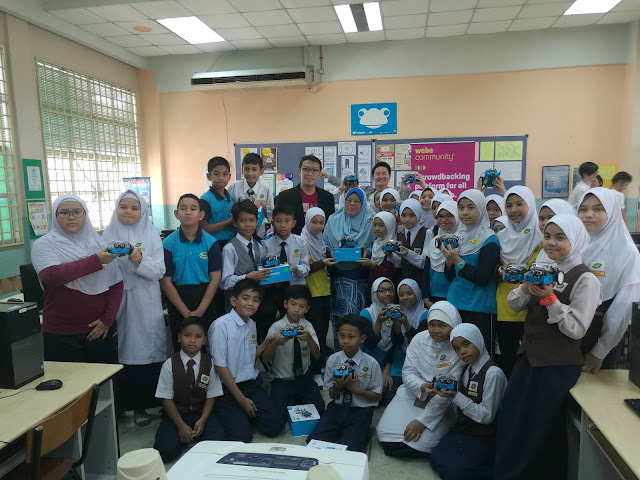 As the name suggests, Maker Mobile is a mobile classroom that provides STEM (Science, Technology, Engineering and Mathematics) based workshops to students across Malaysia. 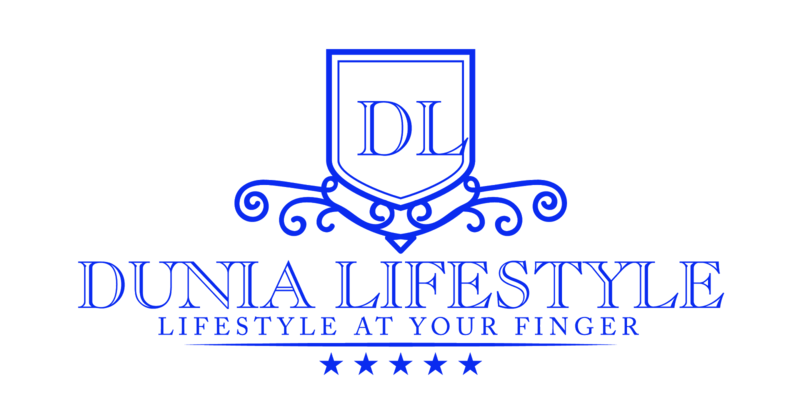 The project aims to reach out to 900 students from 30 under deserved schools across Peninsular Malaysia in 30 days. The workshops are designed to build on a child’s natural curiosity by teaching STEM concepts through hands-on learning. There are four (4) workshops offered - Coding, Robotics, Embedded System and App Inventing which are taught over a three-hour period. Maker Mobile is one of the first four (4) projects shortlisted for webe community’s support this year. Currently in its second year, webe community is a platform that enables changemakers to come together to co-create ideas that have a long term positive impact to different communities in Malaysia. Nigel Sim, Co-Founder Maker Mobile, Nazeem Nasir, CMO, webe, with the students of SK Putrajaya Presint 8(1), Putrajaya during the workshop. With its unique crowd backing platform, webe community aims to positively impact Malaysians in every way that can be imagined. 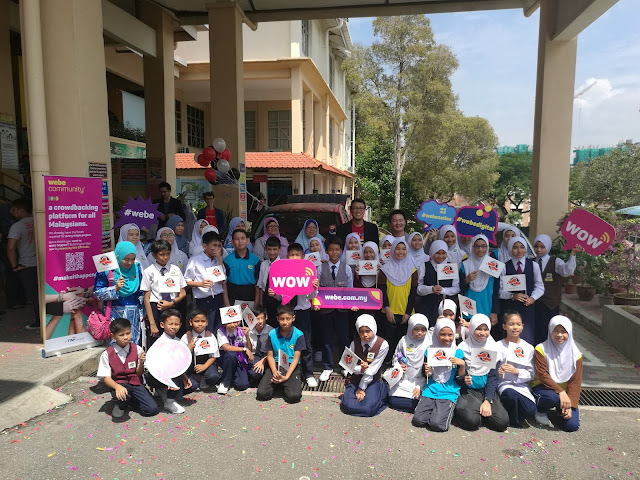 Last year alone, webe community spent RM 800,000 to fund five (5) projects that varied from entertainment, to health and education and rehabilitation initiatives. 2017 sees a refreshed webe community, looking to make an even bigger impact. webe hopes to encourage more Malaysians to step out and share their creative and innovative ideas through the webe community platform.